I'm a sucker for a fairytale, even in business. 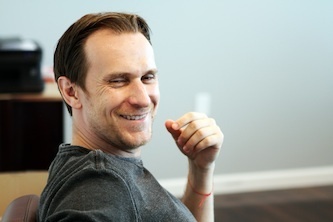 That entrepreneur is Tomas Gorny, co-founder and chief executive officer of Nextiva, a leading provider of cloud-based unified communications. I was honored when he agreed to take some time away from his busy schedule of creating innovative products and overseeing a team of more than 25 executives and their staff of approximately 500 to speak to me. Read on for the story of a great innovator who turned a passion into a multimillion-dollar business. Tomas Gorny was fascinated by America from a young age while living in Poland. His parents continue to remind him that he claimed he'd live in America one day. However, his path to America was not easy. He grew up in Poland at a time when the country was communist. His parents were kind and hardworking, but quite poor. To his surprise, when he was 12 they purchased his first computer for him - an Atari. "It was the least expensive model without any accessories," he said. "I had to get creative and learn to program my own games because we couldn't afford to buy them." Gorny was intrigued by his computer and spent hours figuring things, finding ways to make them simpler. "I first visited Germany when I was seven years old and it was like day and night compared to Poland. Germany was more advanced. There were more opportunities for me, including being able to attend business school." Inspired by the idea of attending business school, at age 14 Gorny convinced his parents to move to Germany. While in Germany, Gorny continued to focus on finding a way to reach his goal of going to America and seizing the opportunities the country offered. He set a plan to visit America as soon he saved up enough money to travel there. At the age of 16, Gorny made his way to America for the first time and he knew he would move there when he finished school. When he returned to Germany, he started a PC distribution business with the intent to sell it once he was done with school so that he could return to America--this time for good. Gorny could not wait for this plan to unfold, especially since the Internet boom was in full swing in America and at that time Germany was two or three years behind America in terms of technology. The opportunity in America was too great for Gorny to wait any longer so he left school early, forgoing his formal education and degree. He purchased a one-way airplane ticket to America. "I had nothing to lose. I knew things were going to be tough but I told myself, 'If there's ever going to be a time when I take a risk, the time is now." Growing up, Gorny's family had instilled hustle in him. He was a hard worker who was determined to succeed; qualities that ultimately helped make him successful in America. Upon coming back to the U.S. the second time at age 20, Gorny went to work for someone in the web hosting business, eventually becoming a partner. During the next two years, he made very little and said, "The longer I was there, the less I had. I worked various side jobs to make a living. For two years, I lived off $3 day. Instead of being bitter, I was happy to be in sunny Hollywood, California." After two years, Gorny had helped grow the business to a point where he and his partner were able to sell it. "I made some money from the sale of the business and as a result my financial position improved. I kept saving my money and the only big purchases I made were a house and a car. I reinvested the rest of the money I made in real estate, businesses and stocks." Things were going great for Gorny but in mid-2001, due to a series of unfortunate events, his business and investments started to struggle. Then September 11th happened and everything took a dive. "My stocks and investments plummeted and I now had more obligations than before. I had to start all over again." Gorny reflected on the situation and reassessed his personal goals and decided to get back to his core principle of providing value to businesses through great products, working with great people, and not focusing on an exit strategy. "I'm driven by the objective to simplify technology so everyone can use it. Being financially prudent is fundamental to running a business. But my focus and passion lay with leveraging technology and inspiring people to create market defining products." With this goal in mind he started IPOWER in late 2001 using only his credit card for capital. Gorny explained that IPOWER was born during a time when having a website was complicated. "You needed a web hosting company and a designer, which was complex and expensive. I wanted to make creating a website easy and affordable for everyone." "At IPOWER, we quickly started acquiring customers," he said. "Like with most companies, we started with just a few. We then started acquiring a customer a day until all of a sudden, we grew rapidly and started acquiring as many as 10,000 customers each month." By 2003 IPOWER was the fastest growing website hosting provider in the United States. By the mid-2000s, IPOWER had more than 1,000,000 customers spread across more than 100 countries. IPOWER eventually merged with a company called Endurance, that was half of IPOWER's size, in 2007 to lead market consolidation. Fast forward a few years: Gorny and his partner sold most of the company in 2011 to a private equity firm. The company went public in 2013 as Endurance (EIG). Today Gorny is still affiliated with Endurance, serving as a board member, but now his main focus is on Nextiva. When listening to Gorny speak, within the first five minutes one feels the passion he has for what he does. While he is an entrepreneur, he can best be described as an innovator. "Work with great people and focus on the business, not an exit strategy. If you have a good business, good things will happen. If you're worried about how life is going to look three or four years down the line, you may forget to focus on the business you're building. Also, always do the right thing - provide value to employees, partners and customers." More on Gorny: Simple Yet Powerful Business Lessons from a Broke Entrepreneur Turned Multi-Millionaire.